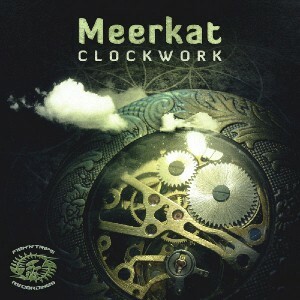 Fish ‘n Trips Records are proud to present Clockwork, the debut release from Irish producerMeerkat. Deep and dark, throbbing, persistent grooves with a playful and a quirky twinkle-in-the-eye ooze and squirm through every track on this quality release, taking the listener on a journey through space and time. Mastered by Wild Mastering with artwork by Hood Art. MP3 Download | FLAC Download | WAV Download · Download count: 6,163. Awesome, No Time Like Your Face, Clockwork, my favs. Almost got this guy mixed up with Meerkut, who does some massive darkpsy work here and over at Beatport with Woo-Dog Records. This is good stuff, though… alive and pumping! Keep up the good work!! I love it, it’s awesome!!!!!!!!!!!!!!! This release follows up well on reflection’s debut as well as placing a stronger progressive element into the FNT catalogue. Big thanks to mark and the FNT crew who are genuine and passionate about the label and their own work. Killer EP..great to see it make no.1…fair play Mr Meerkat..boom! Groovy, interesting, well produced psytech. Totally blown away! I listened to this a few times today haha. Brilliant! When I got home I went to soundcloud and downloaded everything available…. however I had typed in ‘Meerkut’ (well known french producer). What is your soundcloud please? NVmind :) found it.wikked beats bru!